In the publication of this article , there are errors in Figs. 3, 4 and 6. This has now been updated in the original article . The authors declare that the correction does not change the results or conclusions of this paper. Ciccone V, Terzuoli E, Donnini S, et al. 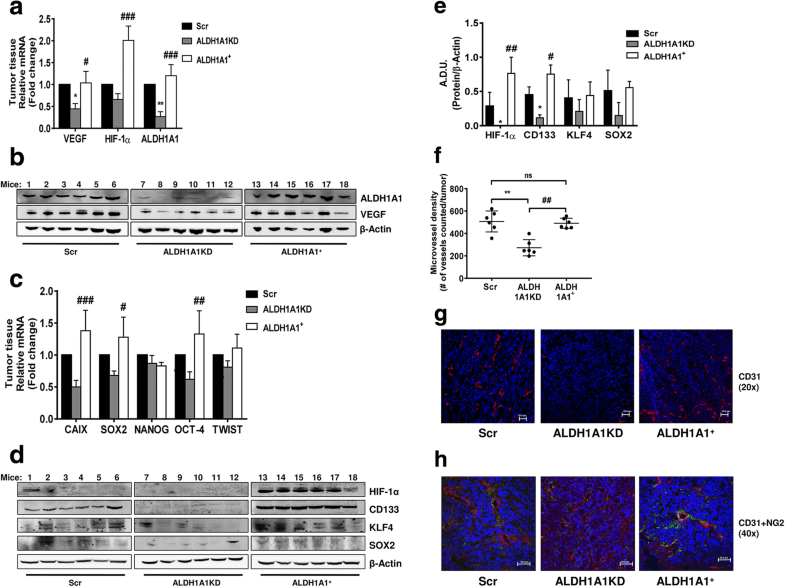 Stemness marker ALDH1A1 promotes tumor angiogenesis via retinoic acid/HIF-1α/VEGF signalling in MCF-7 breast cancer cells. J Exp Clin Cancer Res. 2018;37(311). https://doi.org/10.1186/s13046-018-0975-0.